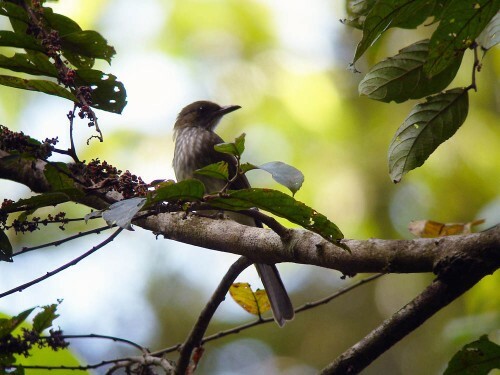 Just last month, the cinnamon trees at Poring Hot Springs in Kinabalu Park attracted a non-stop parade of birds. 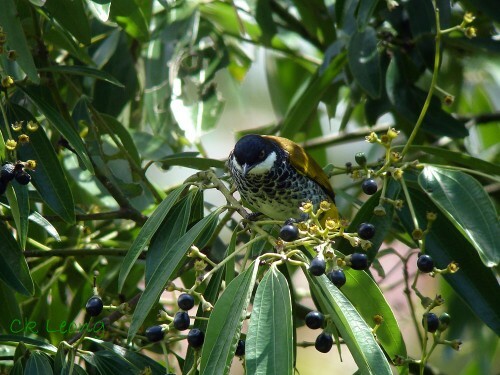 No wonder, these birds can’t resist the ripe fruits of these trees. I had a taste of the fruits and immediately decided they won’t feature in my diet. But the constant frenzy that is the feeding birds would have you think that those would be the last fruits that the birds are going to feed on. Either that or there is a chemical in there which made the birds hyper. There were bulbuls (counted 7 species), flowerpeckers, Asian Fairy Bluebirds, barbets, and even migrants like the Eye-browed Thrush and Blue and White Flycatcher. 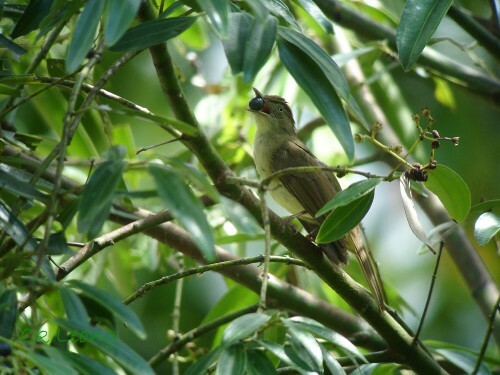 A secret (maybe not), feeding trees like those at Poring make the work of a bird guide so easy. 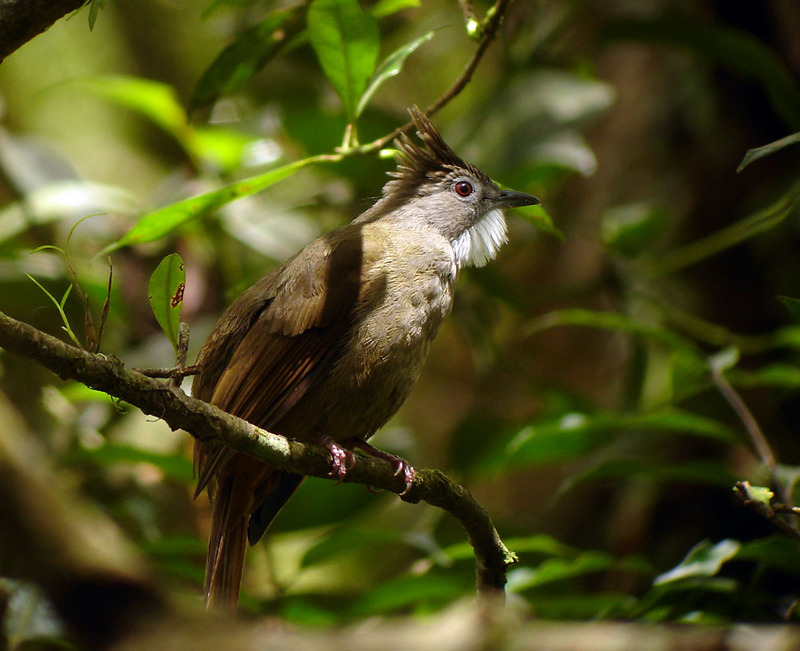 When in the upper reaches of hill forests, care is the order of the day when it comes to this Grey-cheeked Bulbul Alophoixus bres with the quite similar Ochraceous Bulbul. Our Grey-cheeked Bulbul displays a white throat, often puffed out, and yellow underparts while the other Bulbul has a similar white throat but with buff underparts and cinnamon vent. 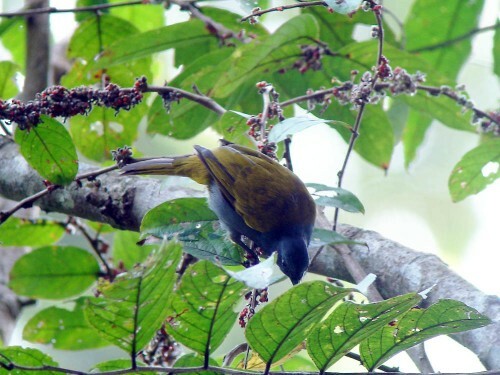 The bulbuls are a large family of Africa and southern Asia. There are 22 species here in Borneo. 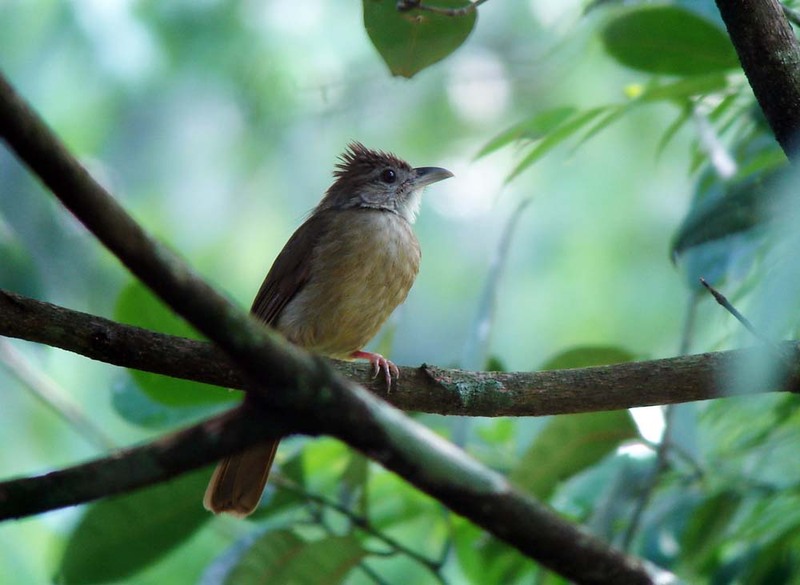 The Ochraceous bulbul Alophoixus ochraceus is a common bird of the mountains. They keep to the understorey feeding mainly on berries. With their puffed out throat feathers and loud calls, you can’t miss them.